Free! Windows 7 SP1, 8.1, & 10 only. 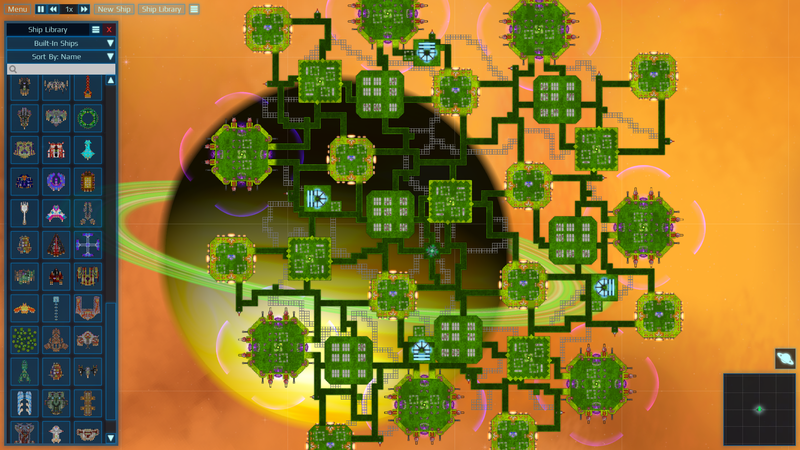 Build your ship by placing individual modules onto a grid—weapons, shields, engines, reactors, crew's quarters, and more! 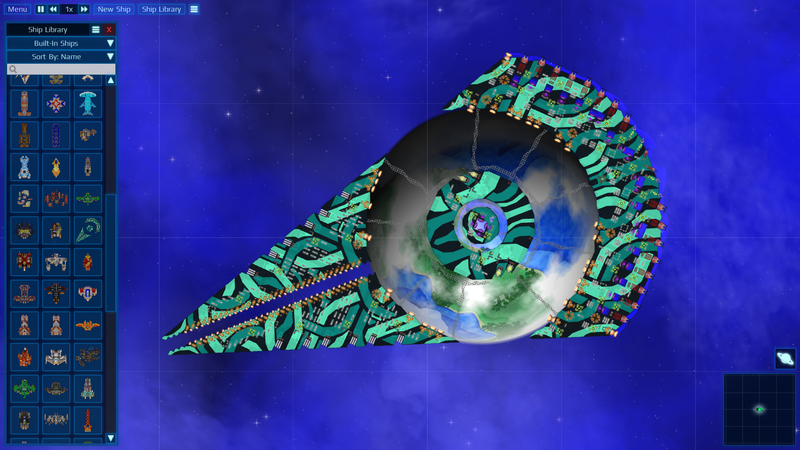 Few restrictions and no pre-defined, creativity-limiting hull shapes mean you can create almost any ship you can imagine. The exterior of a ship is like an artist's canvas, but it requires no drawing ability to make your ship look great! 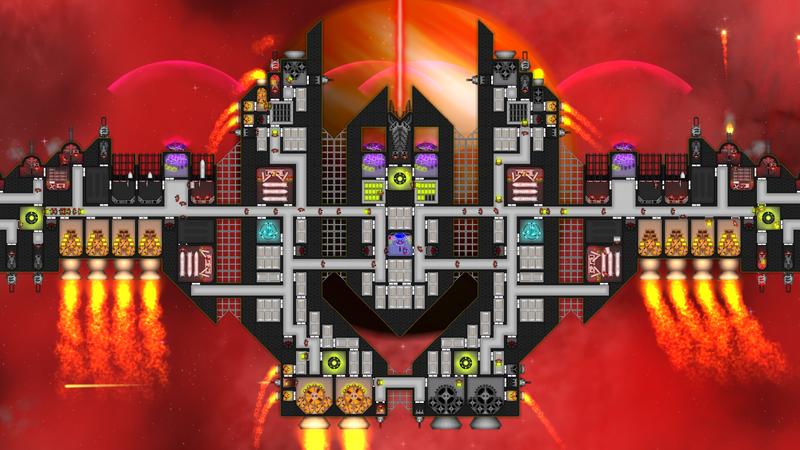 Simply pick a color and texture to customize your ship's basic appearance, then optionally add decals such as shapes, symbols, and letters to give it extra visual flourish. 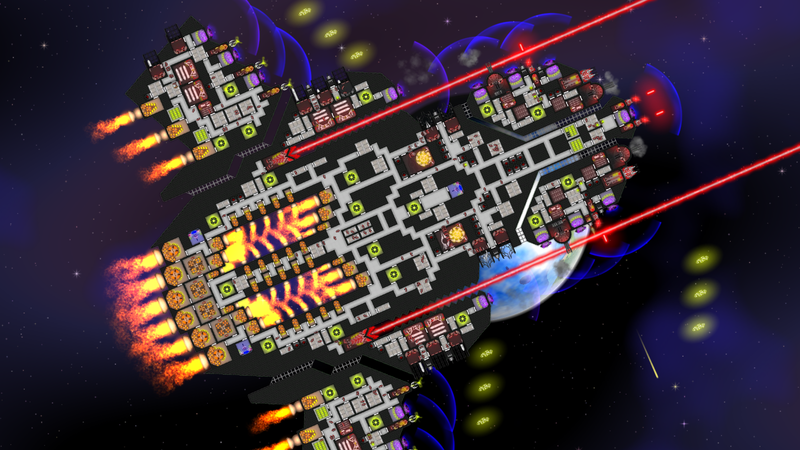 Painting your ship is free and has no effect on gameplay. Every starship is operated by a crew numbering from half-a-dozen to hundreds—sometimes more than a thousand—of individually-simulated people. A ship's crew is its lifeblood. Crew not only operate its controls, but they also carry supplies such as ammunition and power batteries to weapons and systems. When a weapon wants to shoot, the crew go pick up ammo or batteries at an ammo factory or reactor and bring them to the weapon—all simulated in real-time. Crew are pretty smart and act mostly on their own, which is a good thing since there can be so many. Your crew are smart enough to figure out what controls need operating, what systems need ammo or power, and how best to get around your ship. They're even smart enough to avoid routes that are already jammed with other people. The crew simulation is what makes starship design so interesting, because how fast a cannon can shoot or how long a shield can stay charged depends directly on how quickly crew can deliver ammo or power to it. 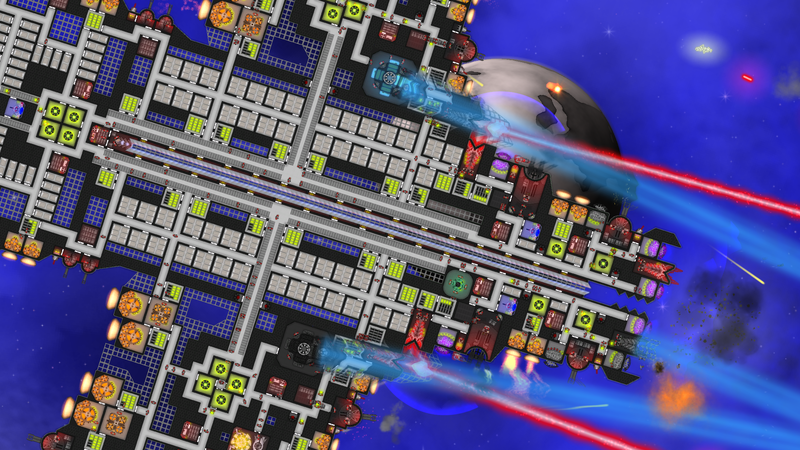 As a player, you'll have to think carefully about how you design your ship's layout so that it operates at peak efficiency without exposing its more vulnerable (and sometimes explosive!) modules. 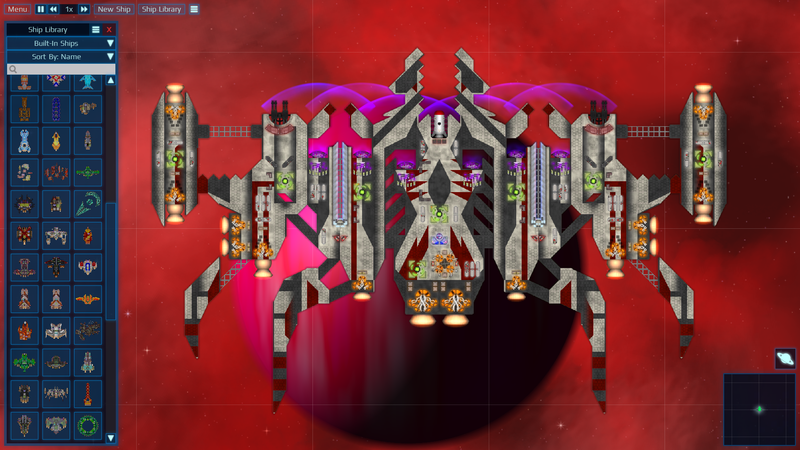 Every ship is part of a 2D physics simulation, and the position and orientation of its thrusters realistically affects its movement. 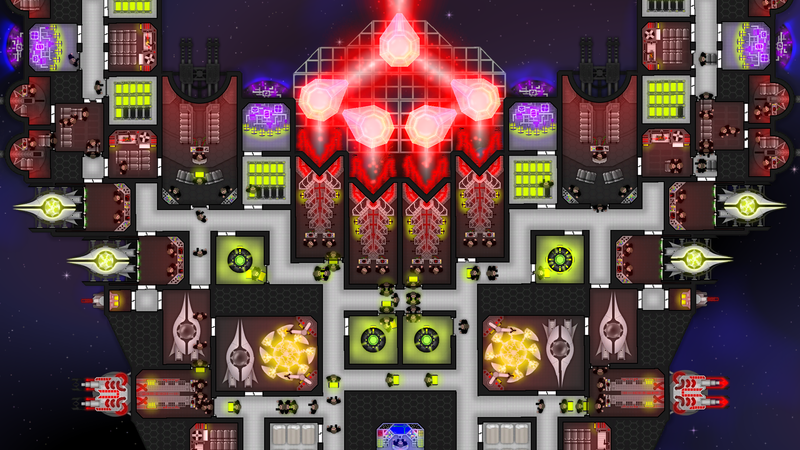 Small ships with lots of thrusters are fast and nimble, while large ships with proportionally fewer thrusters are naturally slower and more difficult to maneuver. 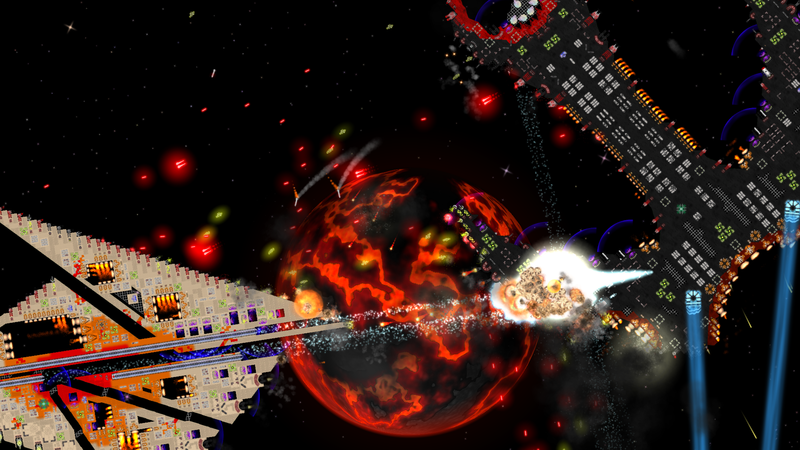 Weapons obey the laws of the physics simulation. Whether or not a cannon or laser hits an enemy depends not on a dice roll but upon the trajectory of the shot and the size and speed of the enemy. 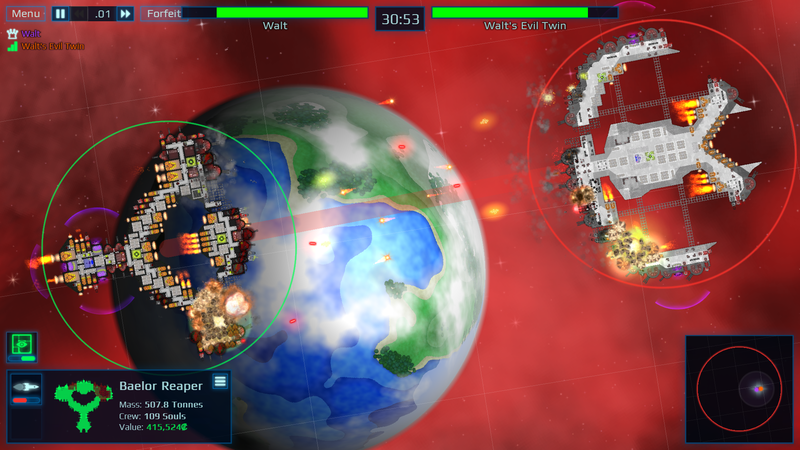 Damage is tracked module-by-module, and each module can be individually targeted & destroyed. 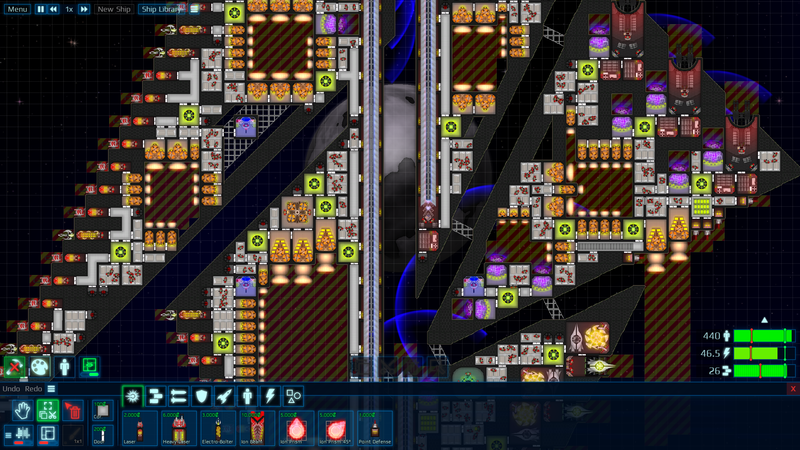 Some modules can explode, causing collateral damage to the surrounding modules, so you'll have to think carefully about where you place your reactors and munitions. Too close to the edge and they'll be exposed to enemy fire; too far and your weapons won't fire fast enough. 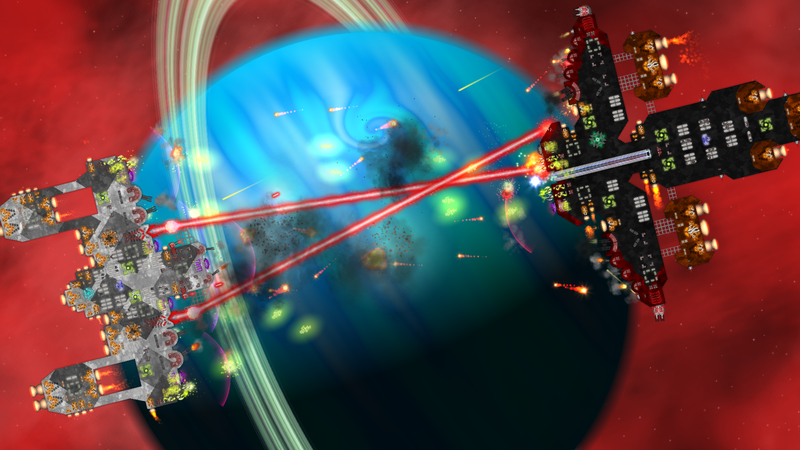 Ships can break apart into multiple pieces when their connecting modules are destroyed. Usually this will be a crippling blow, but any piece that has a control room, power, and thrusters can continue to operate independently, potentially remaining a threat to the enemy. You are a bounty hunter, traveling from sector to sector, hunting down renegade enemies and destroying them. 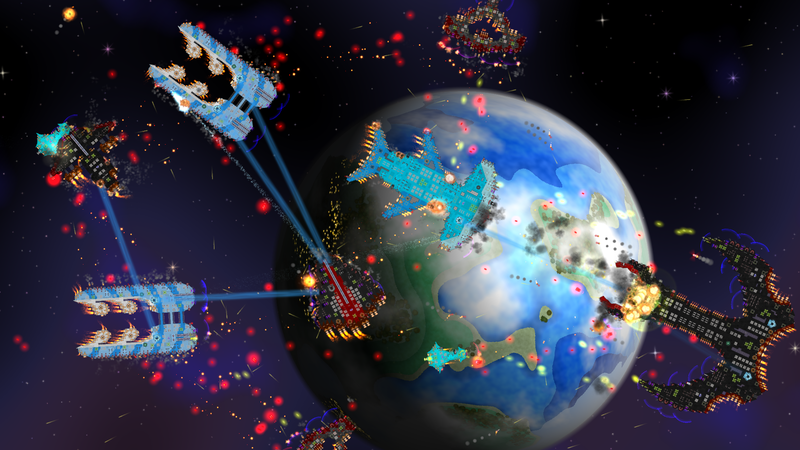 Earn money for every enemy vanquished. 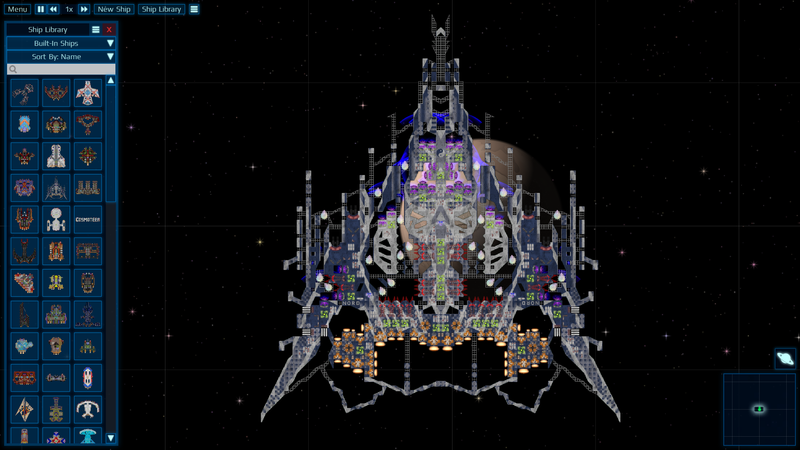 Use your income to repair and upgrade your own fleet, growing bigger and more powerful with every victory. 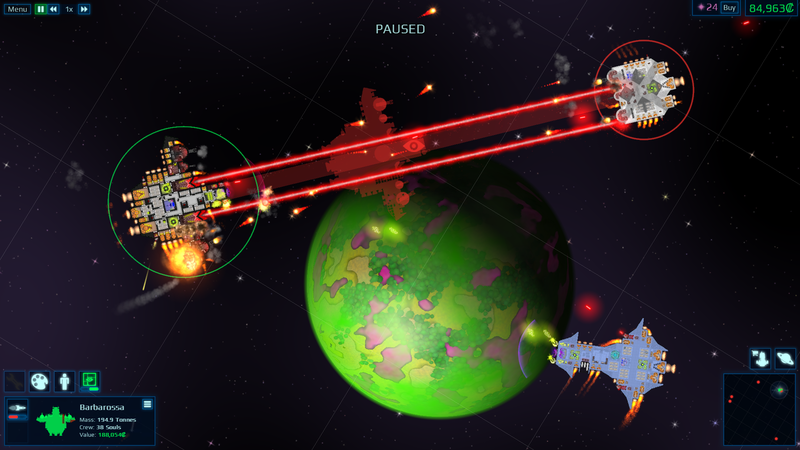 Explore a galaxy in search of bigger and more powerful enemies. 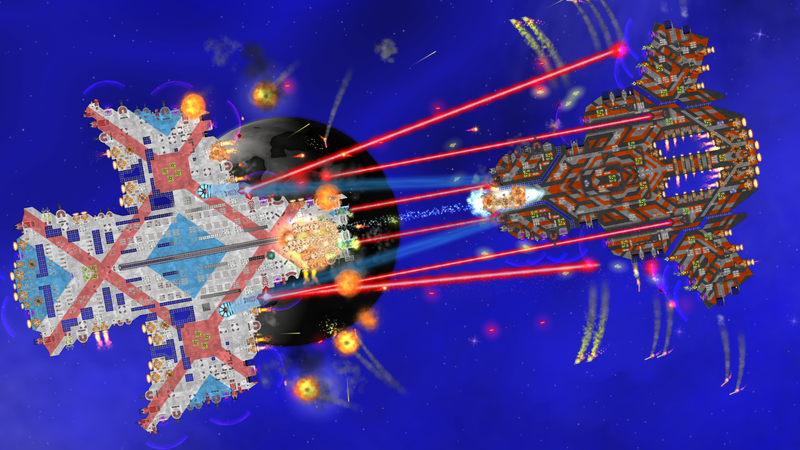 The galaxy will crumble before your almighty armada! 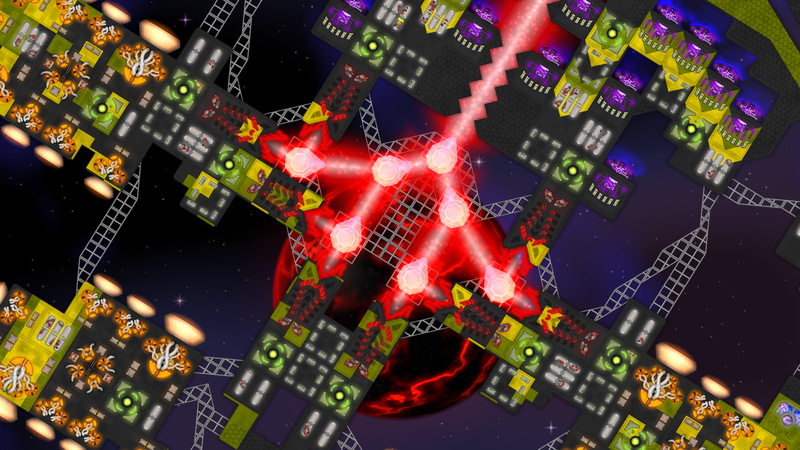 Battle your friends and enemies in real-time, pitting your designs against theirs. Compete to be the master "Starship Architect & Commander" against up to 7 other players in Team vs Team and Free For All battles. 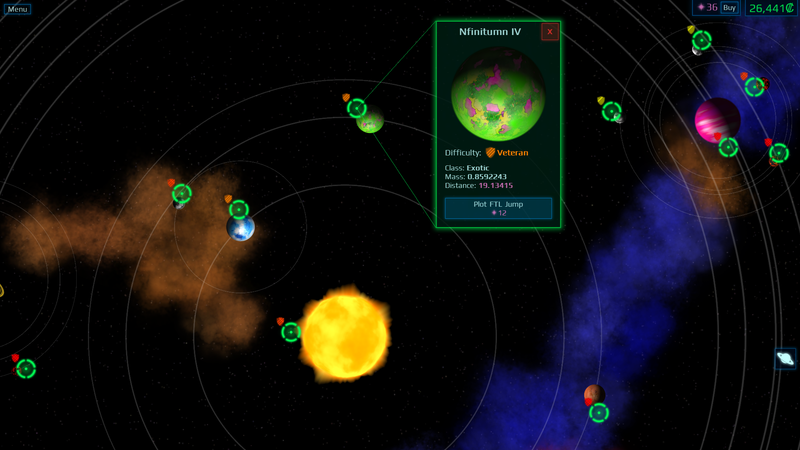 Configure a variety of game options by specifying number of ships, total funds, game speed, and other options. 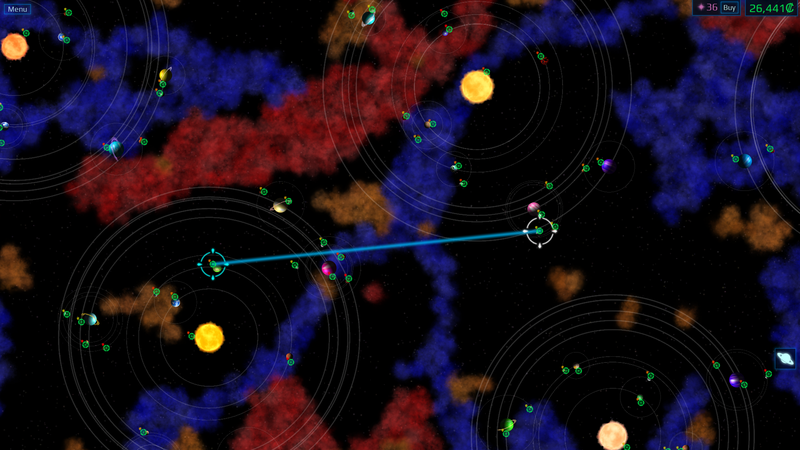 Play tiny skirmishes, massive fleet battles, or anywhere in between. Play online in public or private lobbies. Local Area Network and direct I.P. address connections are also supported. Important Note: Multiplayer is NOT SUPPORTED between 32-bit and 64-bit operating systems! Everything you should expect from a PC game, including customizable controls, windowed and borderless display modes, support for high-resolution displays, no mandatory locked framerates, and dozens of other options to tailor the game to your own preferences. 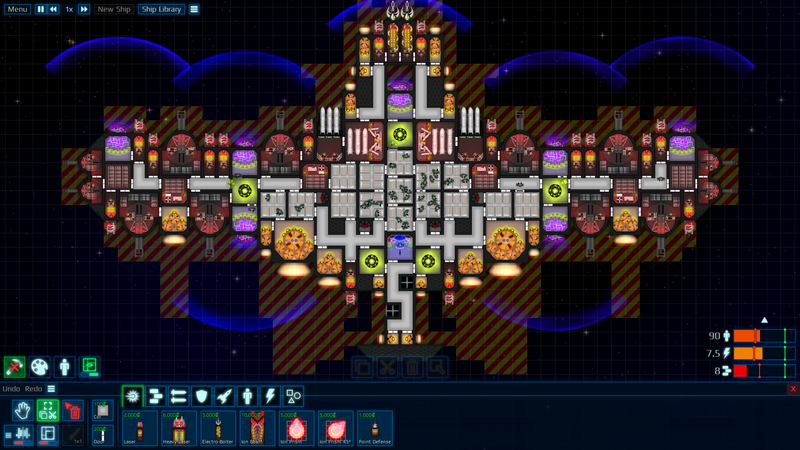 It's easy to share your ship designs with friends and other players. 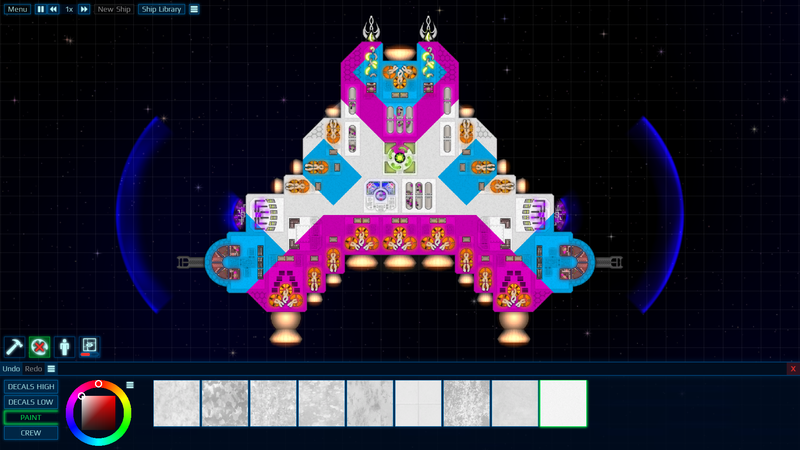 Ships are saved as simple PNG image files and can be easily shared on social media like Twitter, Discord, and the official forums—just drag-and-drop the image from your browser right into Cosmoteer and the ship will be instantly playable! A powerful modding framework lets mods change almost any part of the game data, opening up a universe of possibilities beyond the base game. 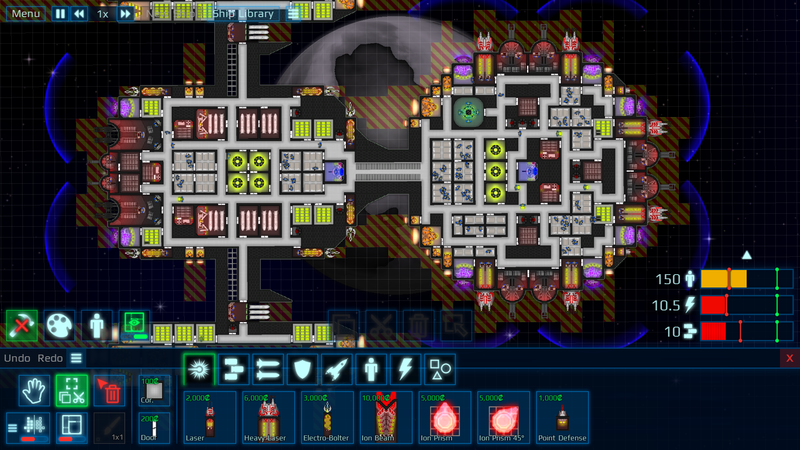 A mods manager makes it easy to install and uninstall mods created by the Cosmoteer community. Unobtrusive tutorials that don't interrupt gameplay and are easy to dismiss or turn off altogether. There's no special "tutorial level" you need to play through—the context-sensitive tips are built-in to the main Bounty Hunter mode.